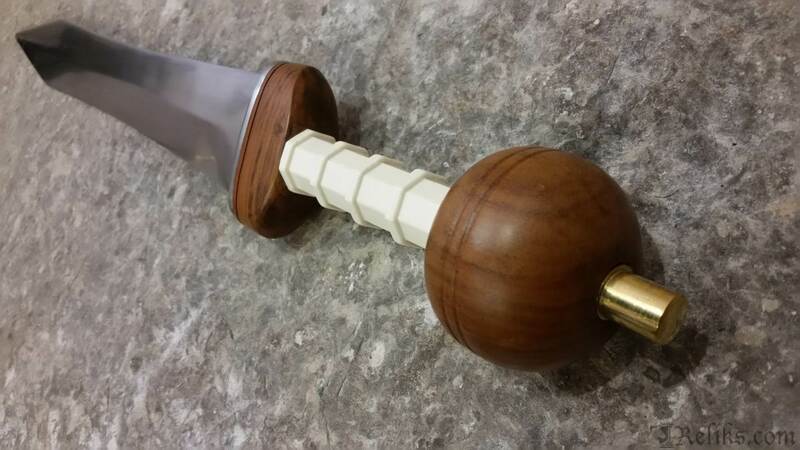 The Pommel on the European sword comes in several different shapes and sizes. They vary in appearance by culture and throughout the years but the one thing that remains the same is the purpose. The pommel serves as a counter weight. 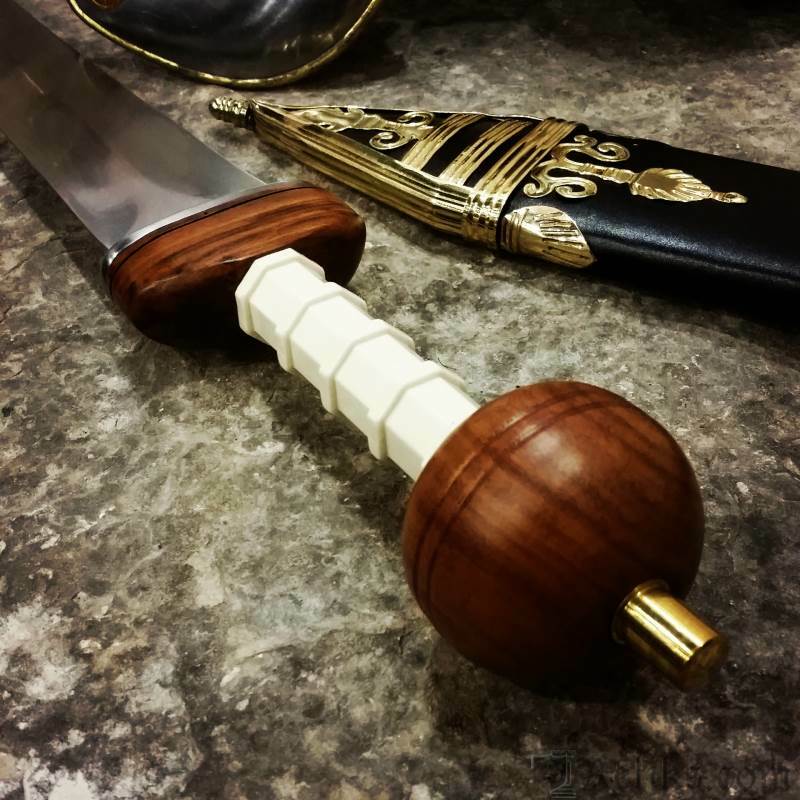 A heavy pommel can pull the forward pull away from the tip of the blade making a sword feel lighter and more maneuverable. 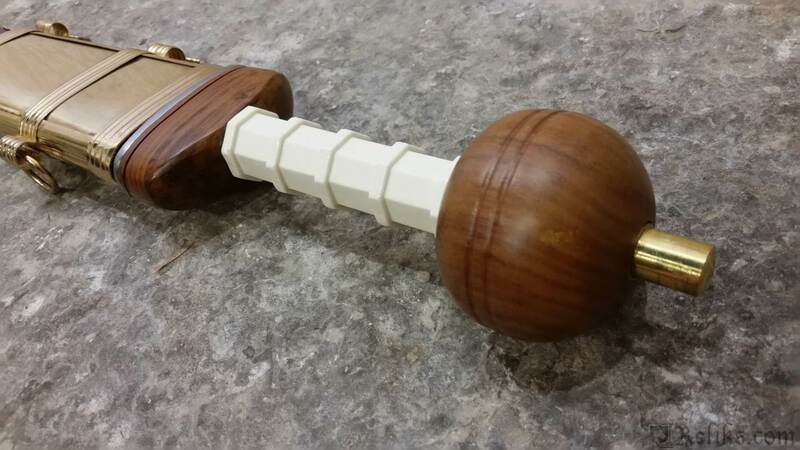 A lighter pommel will have an opposites affect shifting the balance point further from the wielder resulting it a heavier tip and harder hitting blade. The balance point will have a significant influence on the swords overall feel. There is no �correct� balance point as it changed throughout the years but there are better balanced swords for different reasons, depending on the armor the sword would be facing. Early period single handed swords would normally balance closer to the tip where the primary armor of the day would be chain maille paired with a shield. Having a heavier tip the sword wielder would have a better chance to injure their opponent from the blunt force blow to the chain mail or possibly knock the shield from their hands. Later period swords were longer and narrower when facing full plate armored knights. Moving the balance point closer to the wielder made the tip very controllable and easier to direct thrusts into the weaker non-plated portions of the armor. Every part of the sword has an effect of the balance point but only the pommel makes balance it's primary role. How else was the Pommel used? 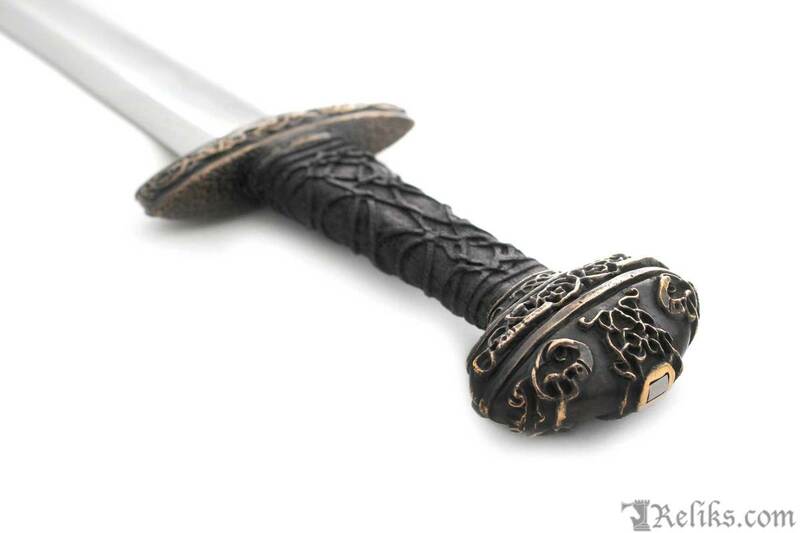 Swords throughout history had their own distinct features and cultural influences. 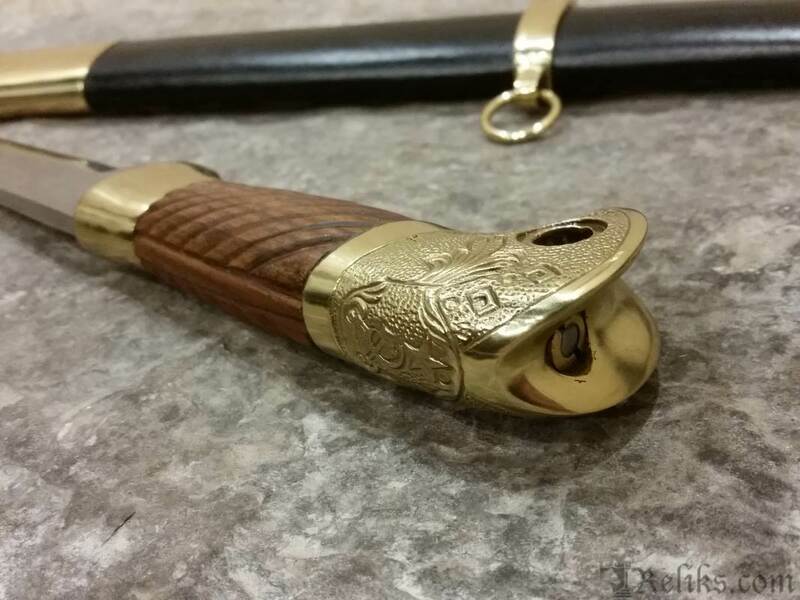 The pommel on some swords may be carved in elaborate etchings or be left in a smooth finish. Some of the most common shapes are round, pear, or shaped like a Brazilian nut but hundreds of different examples have been found. 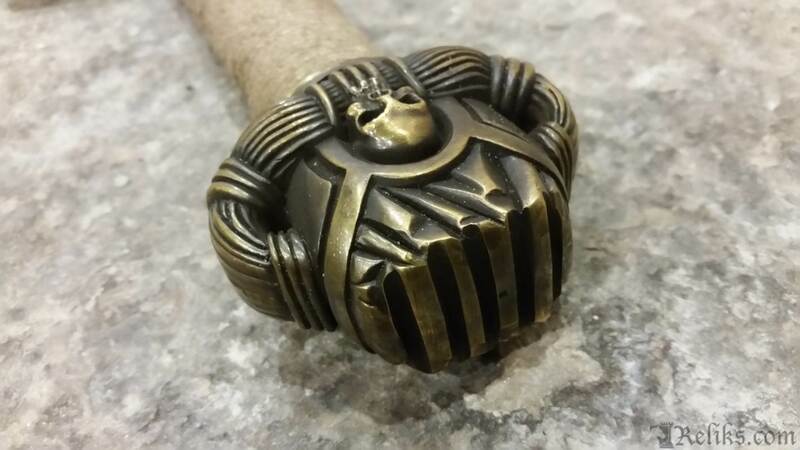 The early Crusaders used to mount pieces of religious artifacts in the pommel of their sword to bring them luck and strength to carry on. 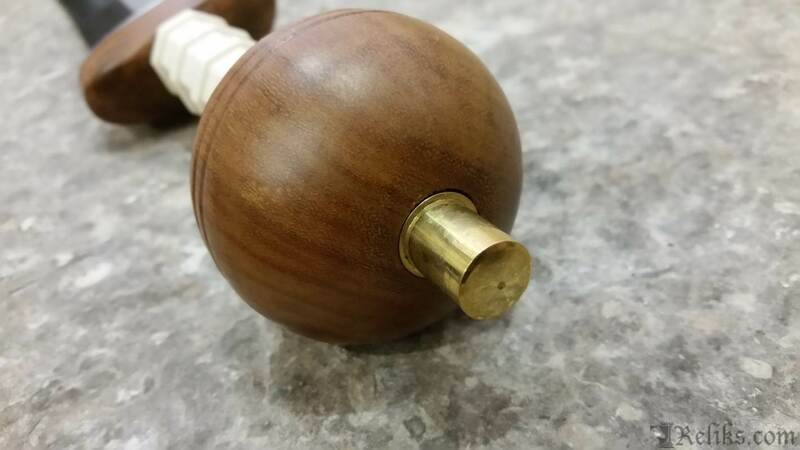 The pommel was also used as an offensive striking instrument as well. Some techniques involved the wielder holding the sword by the blade and swinging the sword as a hammer where the guard and pommel would strike the opponent. 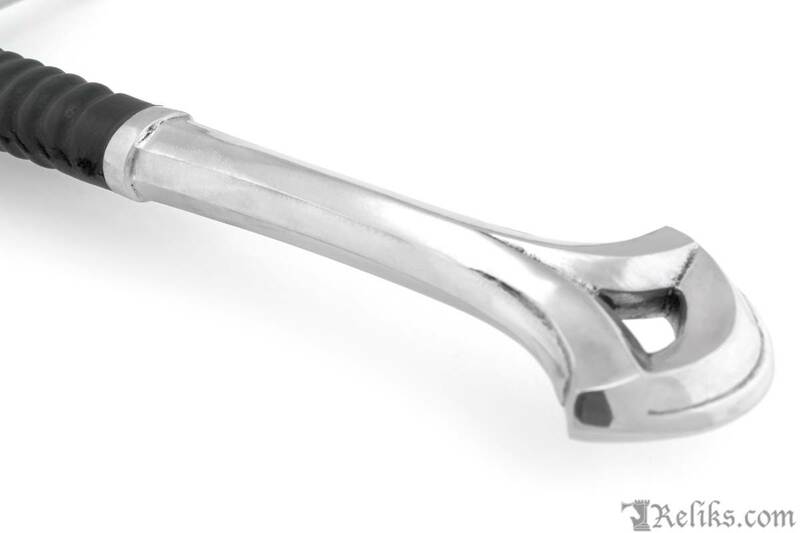 Interesting enough the expression �I'm going to Pummel you� comes from the swords pommel. 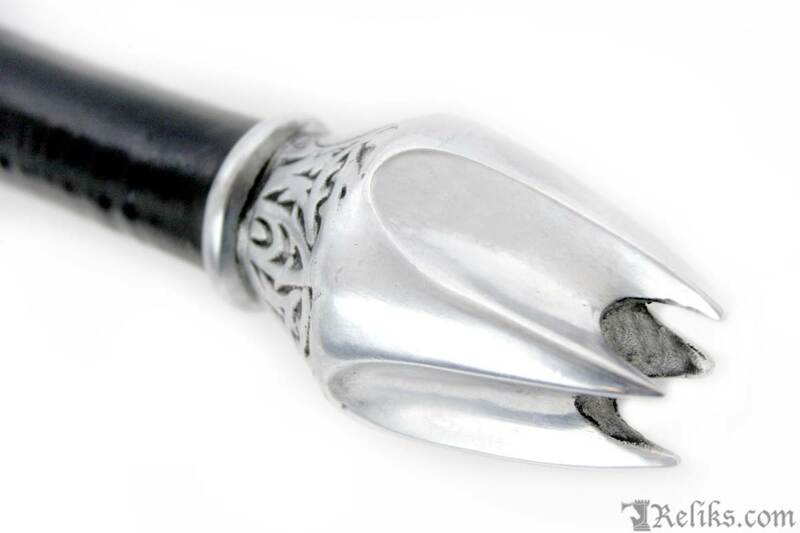 To pommel someone would be a less lethal way of making your point then striking them with the pointy end. 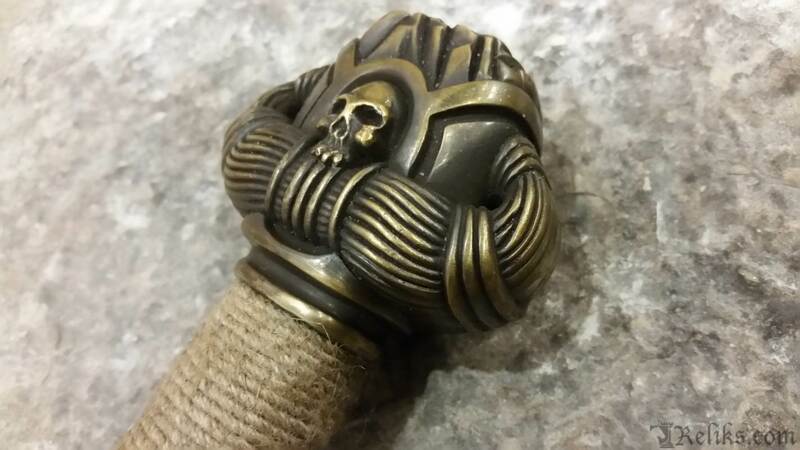 These are some photo's of several different Pommel found on the European swords that we offer. 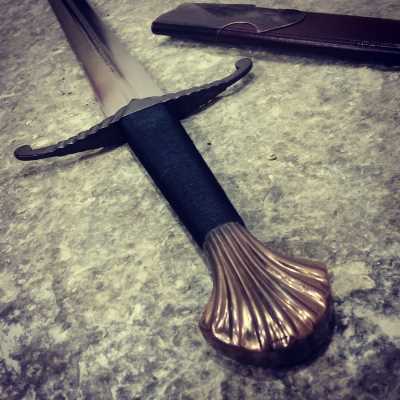 The Roman Maintz in scabbard from pommel view. 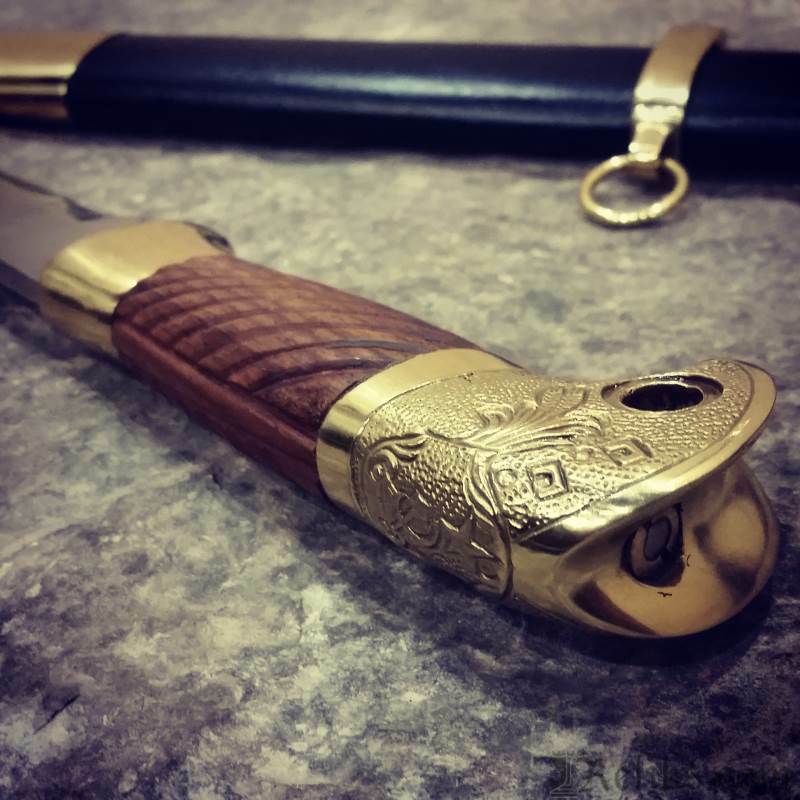 The Maintz pommel to the tip from a wiilders perspective.